Apple has long been in the business of squashing the status quo with disruptive technology. The impact of the Macintosh changed the way we used computers. The iPod revolutionized the music industry. To say the iPhone revolutionized the phone industry is an understatement. The iPad has brought tablets to the forefront—in fact, this happens to be the year experts predict that tablets will outsell PCs. Now, on April 24, 2015, the Apple Watch is coming to a wrist near you—and some of those wrists may belong to your students. My guess is that it will take some time before the Apple Watch is on the wrist of the majority of students. For one, the wristwatch has been replaced by the cellphone—so much so that the gesture of pointing to your wrist to refer to time is unrecognized by many of those under 20. (Ironically, when simply considering it as a timepiece, the cell phone is more characteristic of a pocket watch, which, of course, was replaced by the wristwatch.) The Apple Watch may find its early adopters to be those beyond their college years, especially considering the second reason it may take some time—cost. For the high-end models, you may need to have a retirement fund to steal from to pay for it. 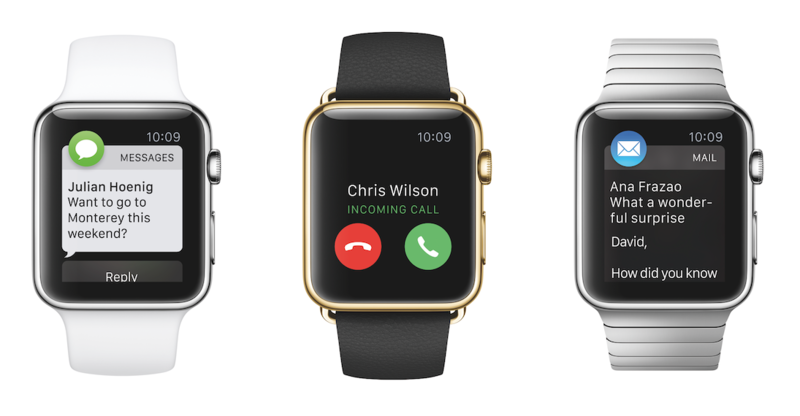 The Apple Watch will start $349, and the gold Apple Watch Edition will set you back $17,000. Among educators, there is concern that the watches will be one more way students could cheat. Some universities have already banned them, and others are considering an all-out ban on wristwatches. Not everyone is against it. With its health-monitoring capabilities, the Apple Watch could be a welcome addition for health and physical education classes tracking steps, heart rate, and the duration of an activity. Science and biology classes could track signs of stress during a variety of activities. So what are your thoughts—will the Apple Watch prove to be a disruptive technology or simply disruptive?